UCR has an impressive array of instrumentation and Academic Coordinators that together help make ideas (as opposed to trouble shooting technical problems) the limiting factors to success in your science. Through the guidance of leadership at the IIGB, CEPCEB and the UCR research community, UCR has invested heavily in infrastructure that is invaluable for chemical genomic research. 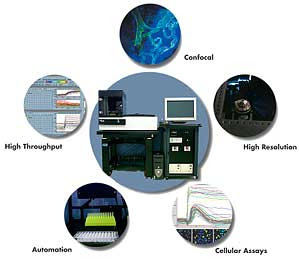 The tools available are diverse and include: screening libraries (~70K compounds), liquid handling, automated microscopy, chemical informatics, LC-MS, proteomics and new deep sequencing technologies. In addition, tools for chemical analyses (NMR, MS, IR etc.) are available through UCR's analytical chemistry facility, which also has a battery of impressive equipment. One critical feature of the IIGB / CEPCEB infrastructure for chemical genomics is its organizational structure. Each core facility is run by an Academic Coordinator, a specialist who is a talented PhD research scientist that can collaborate with scientists on method development and experimental design. For example, if a lab develops an interest in automating an experiment using liquid handling, the organizational structure ensures that it does not need to reinvent the wheel. An Academic Coordinator (in this particular case, David Carter) is on hand who has done this before and can guide students and post-docs reach their goals. This creates a level of flexibility in the design of experiments, and is also valuable for dealing with the loss of expertise that occurs when experienced post-docs or graduate students leave a lab for the next stages of their careers. helped the Cutler lab tremendously with the development of methods for small molecule LC-MS/MS, which we use to study drug uptake and metabolism in Arabidopsis and other organisms. On our target identification project, we anticipate working closely with Glenn Hicks to help identify causal mutations in drug-resistant mutant strains using whole-genome resequencing methods. Glenn is also the most experienced member on campus when it comes to automated microscopy-based chemical genomic screens. 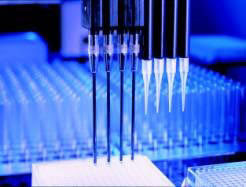 Chemical informatics is another strong area of expertise that has been invaluable to the lab. Thomas Girke has developed a number of tools for chemical informatics including ChemMine, which is useful for many things including clustering, and a related and very nice R-package (ChemMineR).